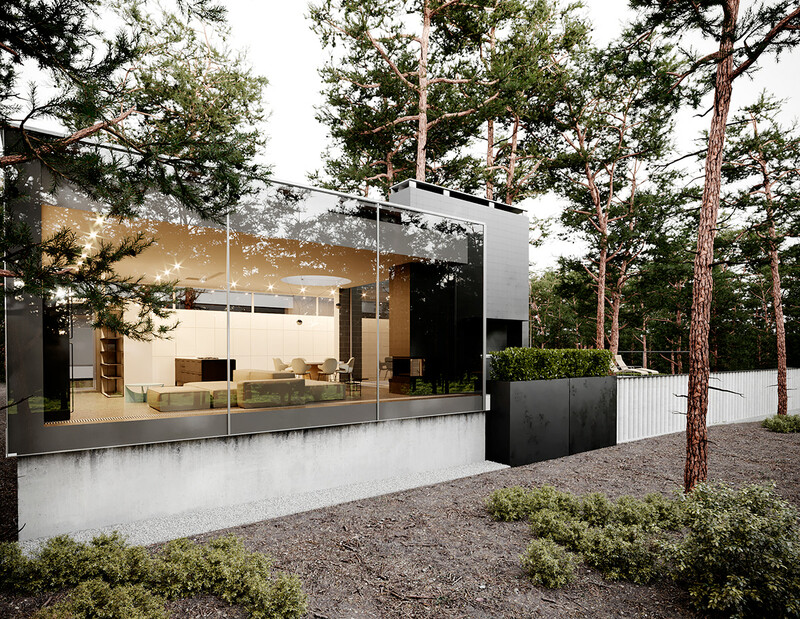 The house area is 200 sq.m. 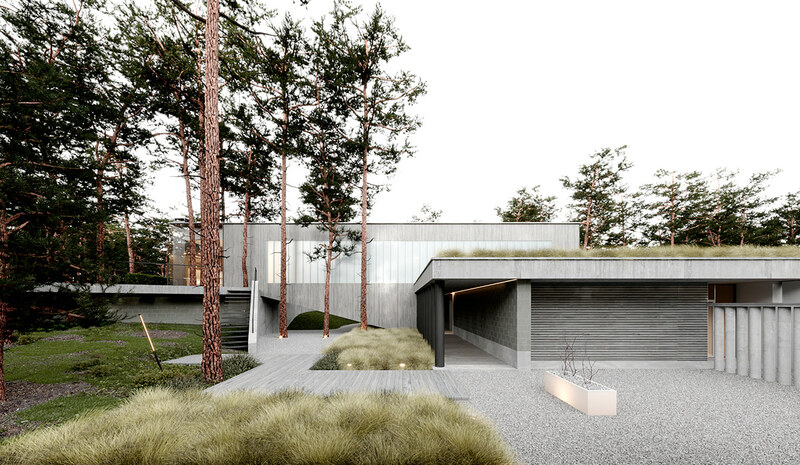 and it is placed on land with varied landscape and its enormous windows directed on secluded pine forest. 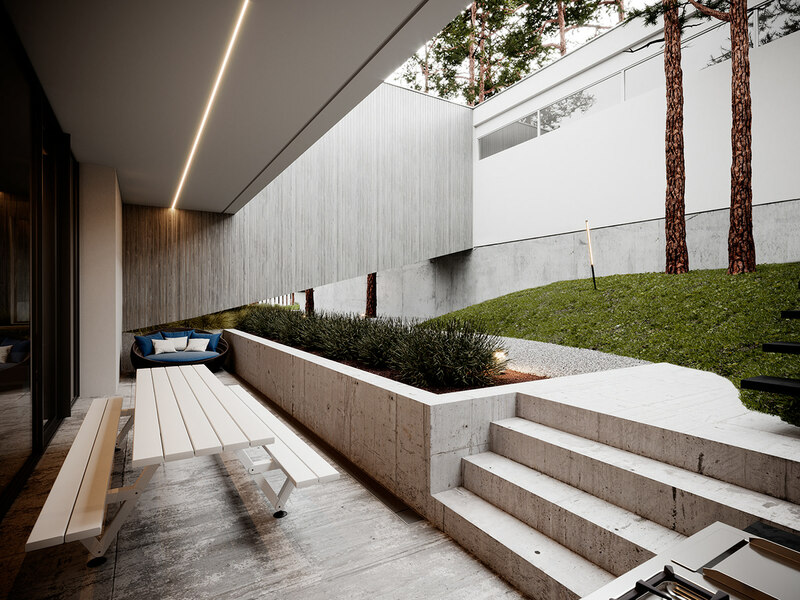 Outside this family home looks strictly, but suddenly inside it pleases us with spacious and bright interiors.
" 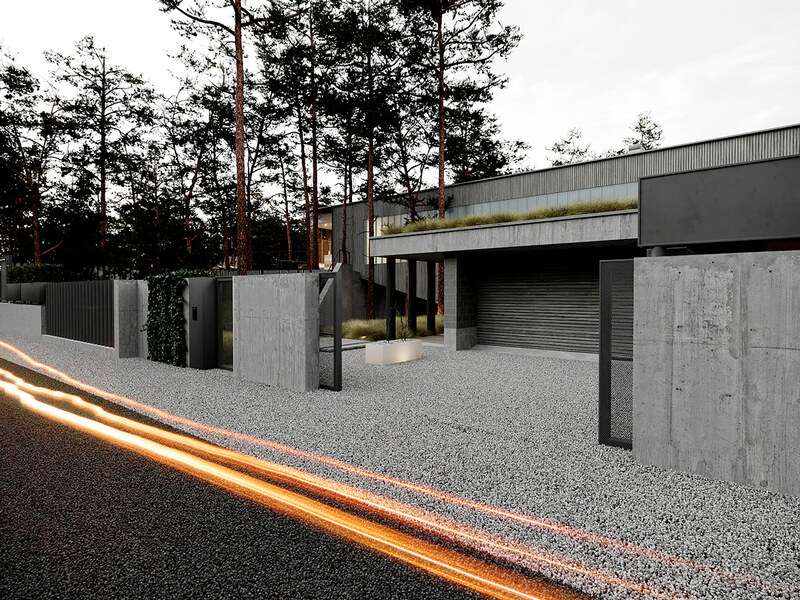 The greens on the roof of the garage is extraordinary decision and our visualization helps to make it clear "
One of ideas for this project was to save every tree in the area. It is a brave choice and nature-friendly to keep them but this task is complicated. 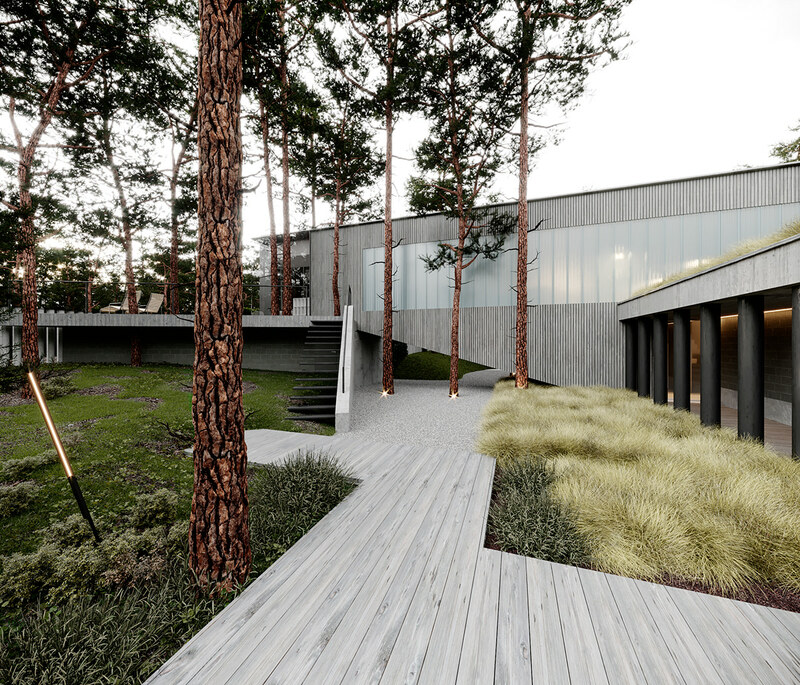 Architect design this home around those trees and we made 3d models for every one of them.
" Landscape looks so real from every point of view because we worked a lot on shaders, layers and their connections. 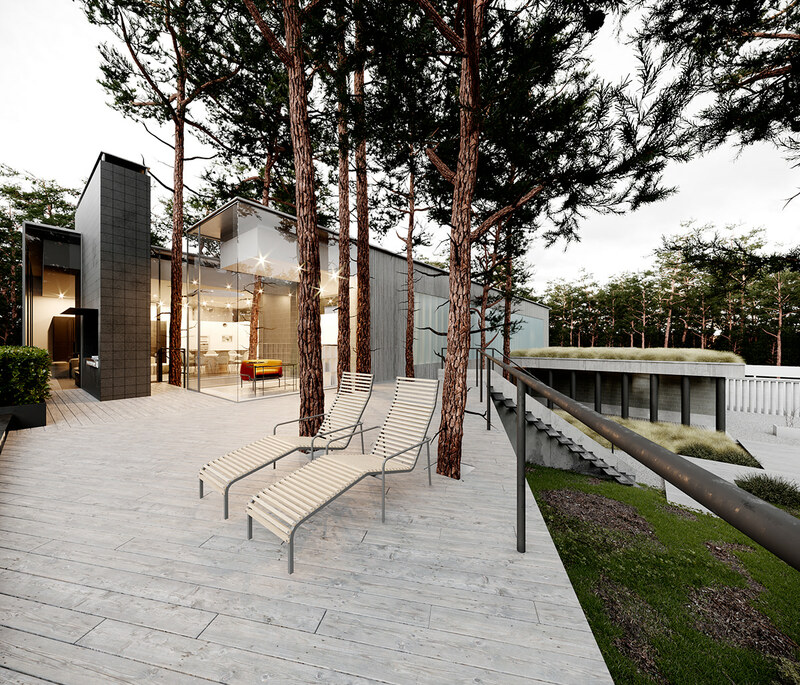 Without a doubt it was worth it "
"The remit was to work with the trees and create a home that included the pines on the boarder between a village and the Forest"
"A private area and second guest room will be near to the village. However, we closed from the village view the atrium of the second guest room and a private area with a long two level corridor, covered with grey wooden cladding. Pilkington glass blocks in this corridor that disperses light to the rooms but didn’t show the interior. 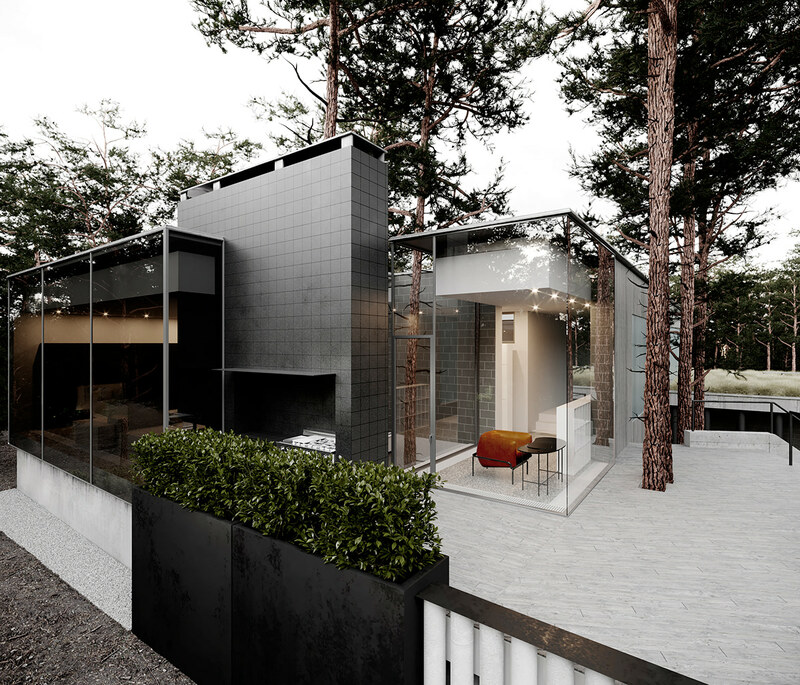 The main rooms oriented to the South - to the Forest." 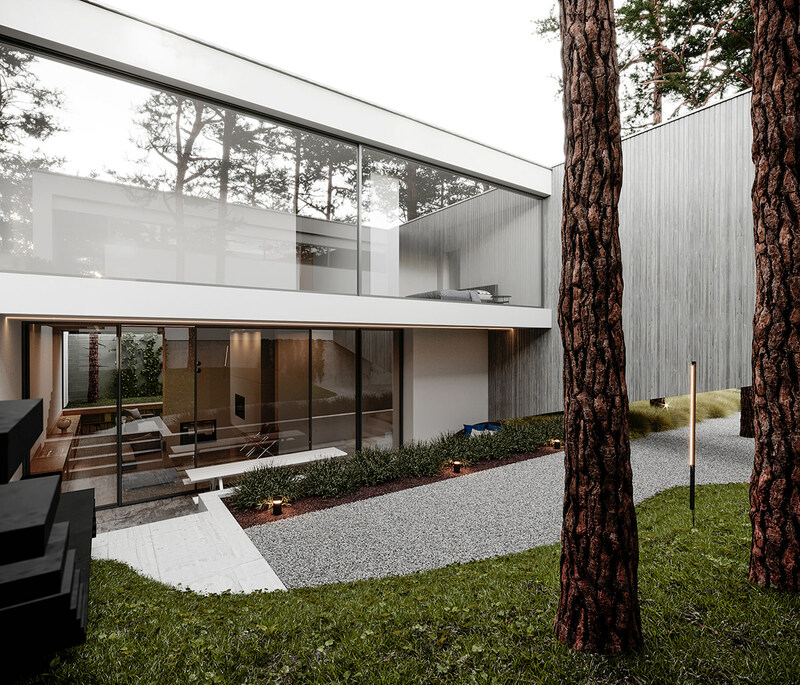 " Huge windows and white walls literally fill space with light inner courtyard and interiors. Such glazing defines the style of this homе "
pines on the boarder between a village and the Forest "